Yichang is situated at the Yangtze river some miles away from the huge Three-Gorges-Dam in the western Province of Hubei. Although a lot of tourists start here for a Yangtze boat trip, the city itself is rarely visited. Beside the reiterative images of Yichang’s hotels and business centrers, accordingly few images of the city are published. This image gap in particular enabled us to work in a non-medially pre-imprinted space. Most of the participating artists had been visiting Yichang for the first time and stayed just for some days. 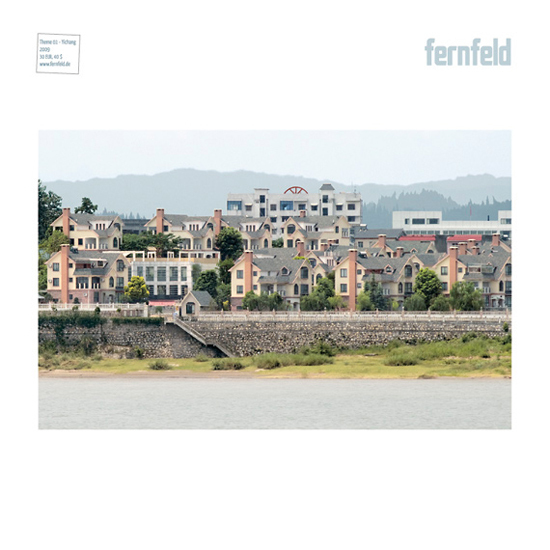 The contributions were especially created for FERNFELD and are shown here for the first time. We would like to thank every artist, who has been involved in this project as well as everybody else who helped us to realise this first issue. Especially we would like to thank all the volunteers and the staff at the 809 INIAF. Without their support this issue never would have been realised.